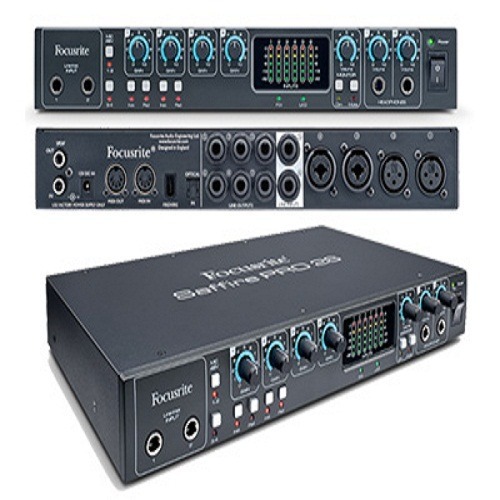 Focusrite's unparalleled preamp heritage lies at the heart of Saffire PRO 26, which includes four award-winning preamps, helping to make it the best-sounding interface in its class. If you're connecting multiple USB devices to your computer such as external hard drives, mice and keyboards then streaming audio over a separate FireWire port will allow you to keep your USB ports free and reduce the possibility of interference with other devices. Give multiple artists independent, fully customised monitor mixes – two with independent headphone sockets and front-panel level controls.